Look, we know it's hot outside and you want to enjoy every drop of that summer sunshine, but why not take a little break and get your latest fix of And finally? This is the place to find out about the smaller stories that didn't make the cut in our coverage of the big news from the week. News that included pictures of the Fitbit Charge 3 leaking, word that Fossil is going to launch BMW smartwatches in 2019, and confirmation that the Apple Watch is doing pretty, pretty good for Tim Cook and co. Head to our main news section for all that and more. For everything else that happened in the wonderful world of wearables, read on. 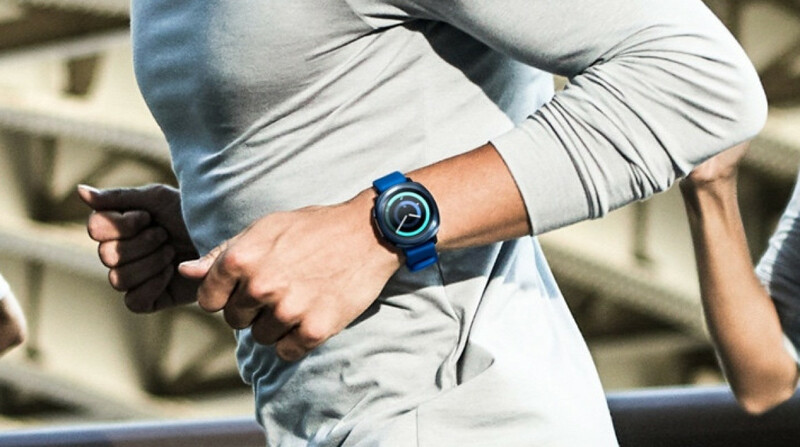 The Samsung Galaxy Watch is happening. It's already popped up on Samsung's own website and continues to get the regulatory approval in anticipation of an imminent reveal. That should take place at Samsung's 9 August event, where it sounds like the Korean company could be taking some inspiration from Apple by offering an accessory much like the delayed Apple's AirPower mat. An image of the Samsung Wireless Duo charger surfaced this week, appearing to show fast charging capabilities for a smartphone and a smaller device - which would be a perfect fit for Samsung's new smartwatch. It looks legit and we probably won't have to wait too long to find out to see how much it's going to cost, and whether it'll launch before Apple's own mat. All the big wearable tech companies were talking numbers this week. We know Apple's smartwatch is performing pretty well and Fitbit is being boosted by the sales performance of its Versa smartwatch. So what about Garmin? Well, the company reported better-than-expected quarterly profit and much of that was down to the surge in demand for its smartwatches and other sports wearables. Its fitness segment saw sales up by 24.3% to $225.1 million. Garmin has been busy updating watches from across its wearable collection including the Fenix 5 Plus series and adding a music model to the Vivoactive 3 smartwatch. Last year, Apple opened up the Heart Study with Stanford University's School of medicine to explore whether the smartwatch could help detect serious heart conditions like atrial fibrillation. The trillion dollar company has now to closed enrolment in the study for any new participants. For those that did manage to enroll before the 1 August cut off, Apple and Stanford will now continue to collect data from their Apple Watches until the study is completed on 31 January 2019.